Although KP is a function of temperature only, the equilibrium constant in terms of mole fractions, K, is also total-pressure dependent. 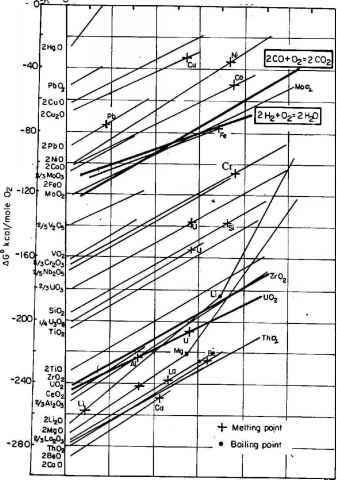 The pressure term multiplying KP demonstrates Le Chatelier's principle: increasing the total pressure in a gas phase reaction favors the .side of the reaction with the fewest number of moles. With respect to Eq (9.24), the pressure effect is determined by the exponent of p; if the sum of the stoichiometric coefficients of the reactants is greater than the sum of the product coefficients is positive, increasing pressure increases K, which drives the equilibrium composition to the product side.